One of the biggest challenges sales teams face isn’t just closing deals, but building strong relationships to help close deals and improve their closing rate. Research shows that one of the best ways to build strong relationships is by spending more face-to-face time with clients. A recent survey of 2,300 people conducted by Harvard Business Review revealed that 95% of them felt face-to-face meetings were both key to successful long-term relationships and to building strong relationships in general. Furthermore, 89% agreed that face-to-face meetings were essential for “sealing the deal”. In a related survey of business travelers conducted by Wakefield Research, 96% of them said face time is the most important part of developing and maintaining strong relationships, and 76% of those who had fewer in-person meetings in the previous year reported that their business relationships suffered. Getting that critical face-to-face time with the right person can often be a difficult task. With people already busy doing their jobs, company budget cuts, or spending less time on the road, just getting time in front of your clients/potential clients has been proven time and time again to be a big roadblock in getting the sales process started. At the same time, your sales often stay stagnant because you aren’t getting that fundamental face time necessary to build those strong relationships. Getting face time may be the first step toward increasing your close rate, but knowing how to have the right type of conversation can be just as important. Oftentimes during our on-boarding and training sessions at Sales Partnerships, the book Crucial Conversations: Tools for Talking When Stakes Are High, Second Edition is given to new employees. Almost to a T, every salesperson that’s taken the time to read it has come back to tell us how powerful of a tool it was in transforming the way they held dialogue with potential clients. The book defines dialogue as the free flow of meaning between two or more people that transpires at the core of every conversation, and labels it as the one thing every extremely effective communicator they studied was able to do well. 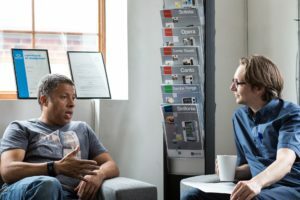 As people enter a conversation, they do so with their own history and beliefs based on the information they’ve accumulated throughout their life – or their own personal pool of meaning. As the conversation runs its course, each person puts their ideas, thoughts, opinions, and emotions into a shared pool of meaning that’s now held by the conversation. People who are proficient in dialogue do their best to make the other people in the conversation feel safe inputting their ideas into the shared pool of meaning. As each person’s ideas get put into the shared pool of meaning, the pool gets deeper and the decision-making process becomes more intelligent. A bond is formed between the individuals engrossed in dialogue, and a new synergy begins to emerge as a result of shared thought. The people involved then act on the results of the conversation with more unity and conviction, and maybe more importantly, understand how your company can help them overcome their daunting challenges. So getting face time is fundamental in transforming your close rate, but proper dialogue is essential. Having a conversation that isn’t just a one-sided spiel about the product or service you’re selling is crucial in building thought around your brand and ultimately closing the deal. At Sales Partnerships, we understand the value of targeted selling and customer engagement, and build well-trained field sales teams to represent your brand face-to-face with clients/potential customers. 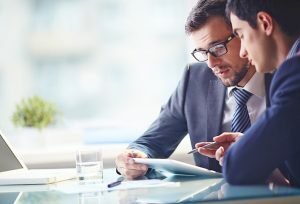 We tailor integrated marketing and sales strategies based on your market objectives and revenue ambitions, develop dynamic value messaging to get customers’ attention and open the door to face-to-face meetings, and train each salesperson on the details of proper dialogue so they can close more deals and build stronger relationships with your clients.